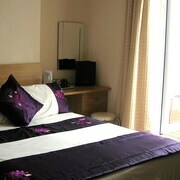 Located in the heart of Newquay, this spa hotel is within 1 mi (2 km) of Newquay Golf Club and Fistral Beach. Porth Beach is 2.4 mi (3.9 km) away. 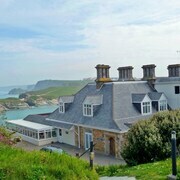 Situated by the ocean, this hotel is within 1 mi (2 km) of Newquay Golf Club and Fistral Beach. Porth Beach is 2.6 mi (4.2 km) away. 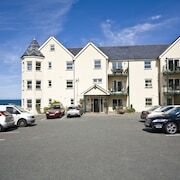 Situated near the beach, this hotel is within a 15-minute walk of Crantock Beach and Fistral Beach. Porth Beach is 2.8 mi (4.5 km) away. Which hotels are closest to the Newquay airport? 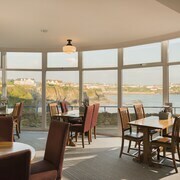 Where to stay near top Newquay attractions? What kind of hotels are in Newquay? 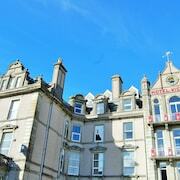 Which hotel chains are in Newquay? 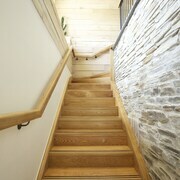 Travelers to Newquay give high marks for the seaside and relaxing spas. Tourists can also enjoy so much more including its theme park. Attractions like Oasis Fun Pools, Newquay Zoo, and Pirate's Quest Newquay are fun for kids of all ages. 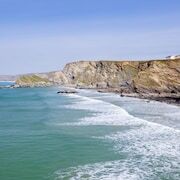 The city's natural setting is picturesque, including the seaside and these places to visit: Lusty Glaze Beach, Porth Beach, and Tolcarne Beach. Surfing is a top activity, and Great Western Beach is one place to visit. 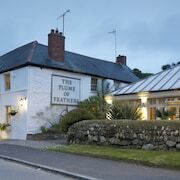 Degembris Farmhouse - With a stay at this 4-star farm stay, guests can enjoy access to a bar and parking, along with free WiFi. It's a favorite with Expedia travelers for its breakfast and bathrooms. 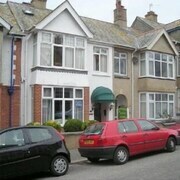 The Quies - Our customers like the beach locale and helpful staff at this guesthouse. 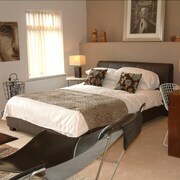 With a stay at this 3.5-star guesthouse, guests can enjoy access to free parking and a bar, along with free WiFi. St Bernards Guesthouse - This 3-star guesthouse features free breakfast, free WiFi, and a bar. Expedia customers like its breakfast and location. To venture out into the surrounding area, hop aboard a train at Quintrell Downs Station or Newquay Station. Newquay might not have many public transit options to choose from so consider renting a car to explore the city. What are the most popular hotels in Newquay? 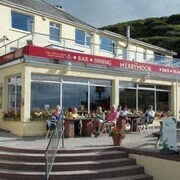 Are there hotels in cities near Newquay? 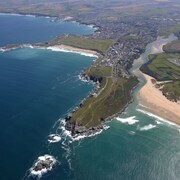 Explore Newquay with Expedia.com.au’s Travel Guides to find the best flights, cars, holiday packages and more!